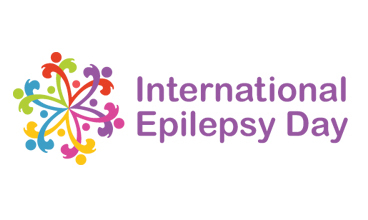 This day is a joint initiative of the International Bureau for Epilepsy (IBE) and the International League against Epilepsy (ILAE) celebrated across the globe in the 138 of countries in which IBE and ILAE are represented. The International Epilepsy Day is the most prestigious epilepsy event in the world. Let's use this day to raise awareness about epilepsy! This is a day for everyone, no matter where you are in all of the USA or the world, no matter whether it is just you or a whole group of you. We want you to help us celebrate International Epilepsy Day! Let's speak with one global voice. Remember that PURPLE is the official awareness color of epilepsy--you can wear purple clothes, hair extensions, nail polish, deck your home, car, or office in purple and wear awareness raising clothes (http://www.epilepsyfree.com/product/epilepsy-t-shirt-ask-me-about-epilepsy/).